The other evening, my family and i went to look around the neighborhood to see if there was anything to eat and found this restaurant in Encorp Strand formally known as The Strand, Kota Damansara. 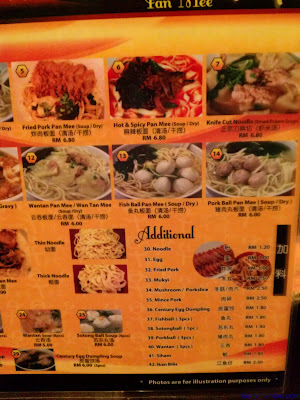 Its menu is based on the traditional noodle style known as Pan Mee. 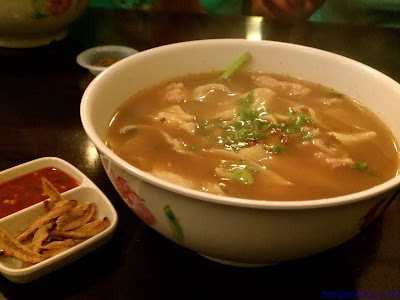 The special thing about this restaurant as to other Pan Mee places that are all over the place now is the variety it brings. 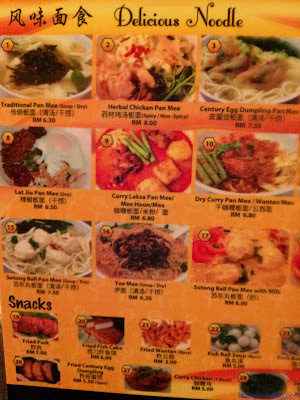 You get at least ten types of different soup based and ways to eat with Pan Mee, from Herbal Soup, to Fish Head Soup. 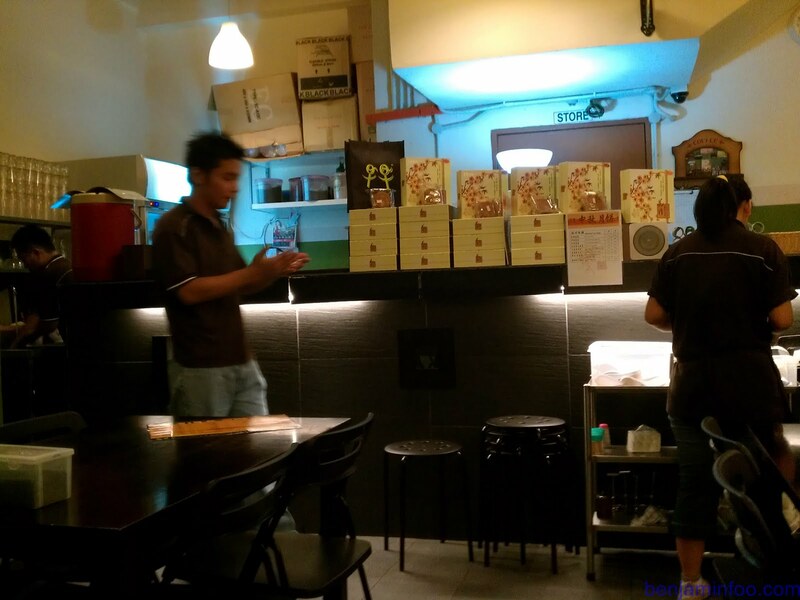 The shop is pretty basic in it's design and feels cozy just like the other Pan Mee shops around. Here are the 3 choices that we chose to try out for the evening. 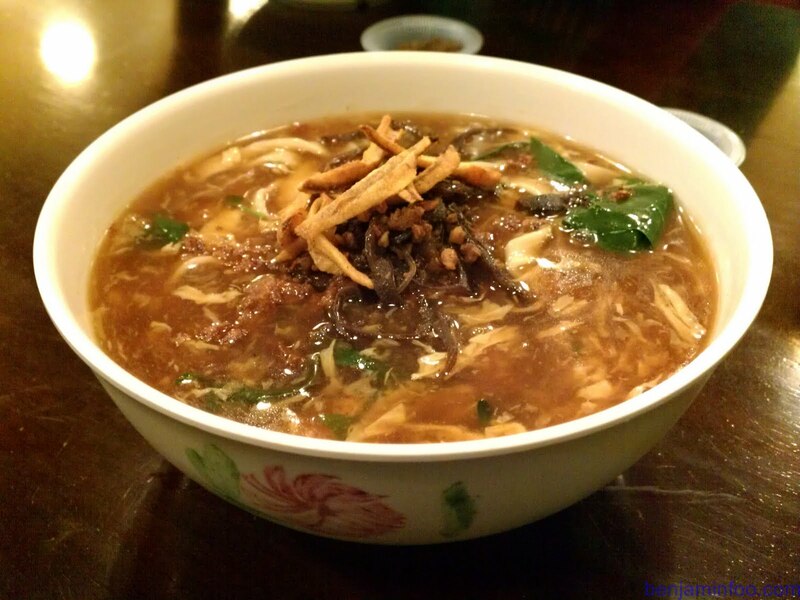 Fish Head Noodle Pan Mee- Similar to that of Fish Head Noodle the soup is very clear tasting and there is a fresh fish sweetness in the taste which many fish head lovers would know. 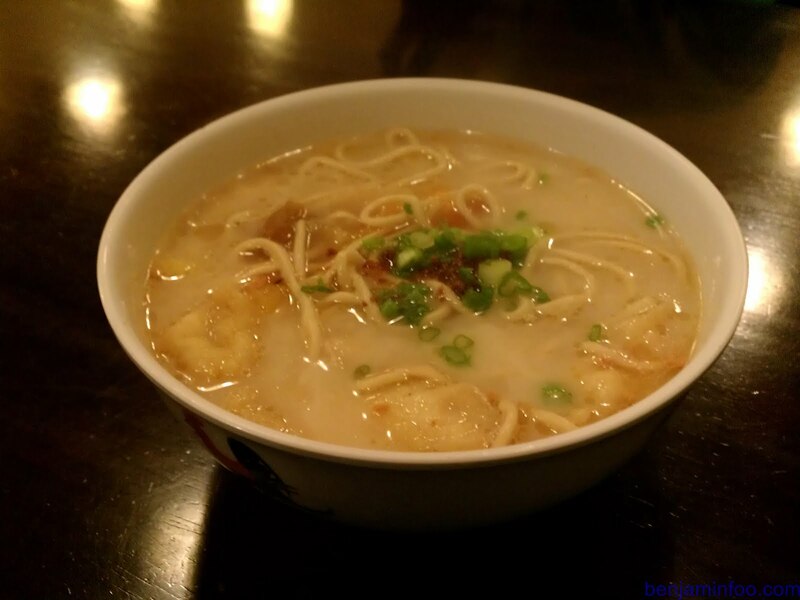 Knife Cut Noodles (with Shrimp based soup)- The Pan Mee in this one is a bit different as it is sliced in to pieces instead of the usual form and what's more is the soup base contains shrimp in it and provides a strong taste in the soup.There is also seafood/pork balls in it that are hand made and nice. Comment: This choice is has a very strong taste and satisfies the tastebuds. Lor Pan Mee- Perhaps a more common choice, the broth is not as thick as the original Lor Mee mainly because the thickness will affect the way the noodle turns out and could generally make the whole meal soggy. *thumbs up* for the chef for noticing this. There are braised chicken meat and fried anchovies on it. Comments: My personal favorite, would definitely have cravings for this later on. To add to the already fine tasting Pan Mee, this greenish grounded chili makes the meal even more appetizing. 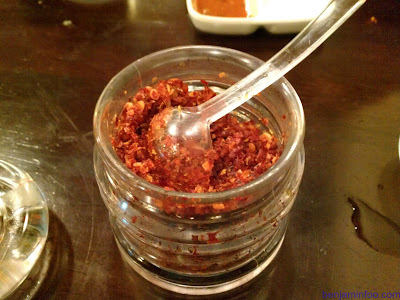 Shrimp with dried chili, mixing it with the Lor Pan Mee was the best choice ever! 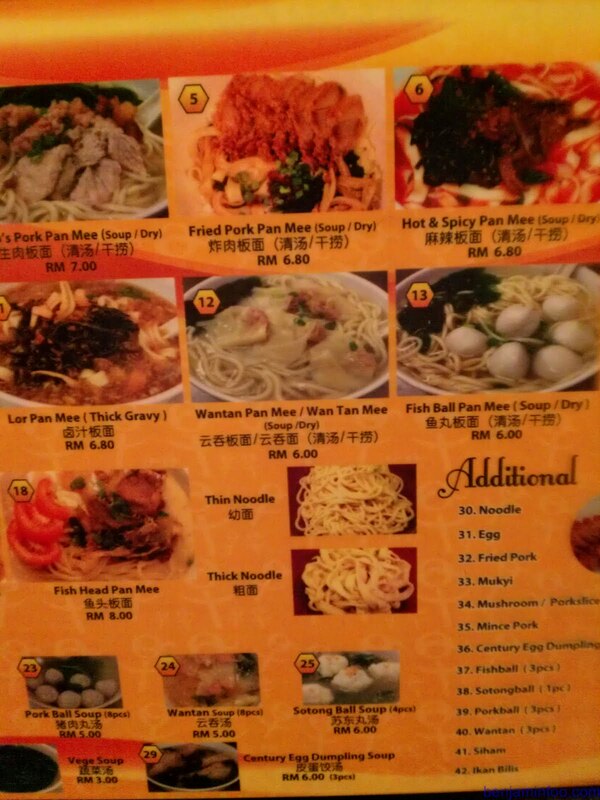 The Variety of Pan Mee bases are the main attraction so you can be sure there is something for everyone! 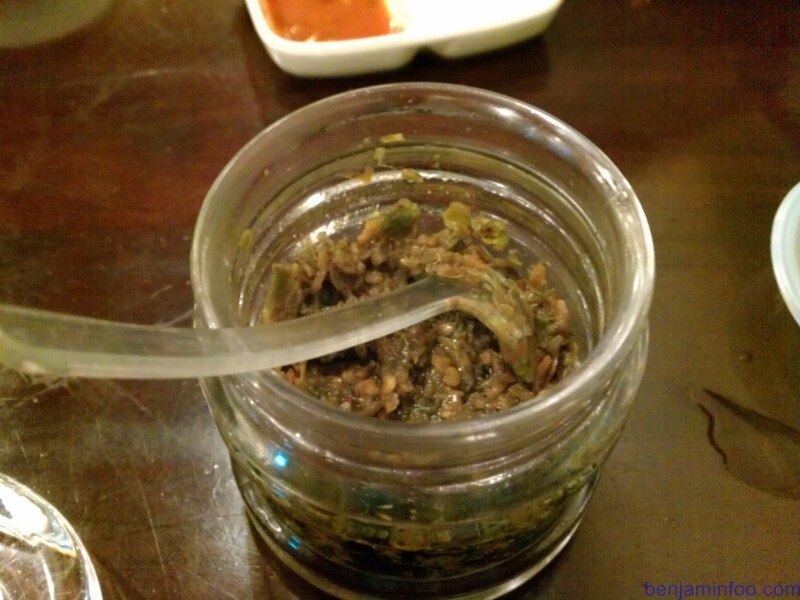 The taste is good as well so you don't have to worry! 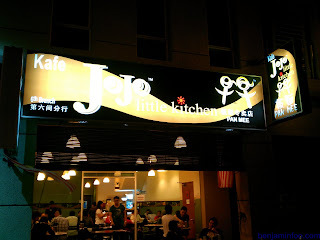 The shop is located at The Stand Kota Damansara on the same row as Wild Zebra Bar. Couldn't find it on Google, sorry. i guess quite a lot of people blogged about it before. 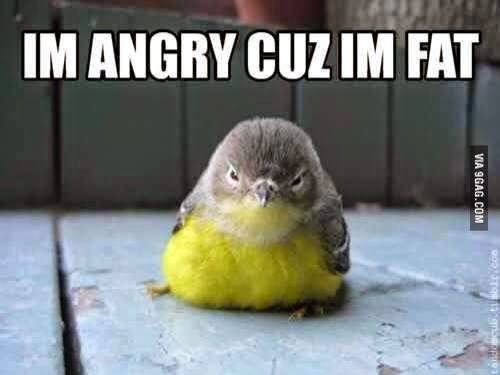 =) But I never tried before.. I heard their pan mee is really good but not sure which one is nice :P Never tried it as well. my fav place, been here many times, the dipping chillies are awesome to go with the many types of pan mee.